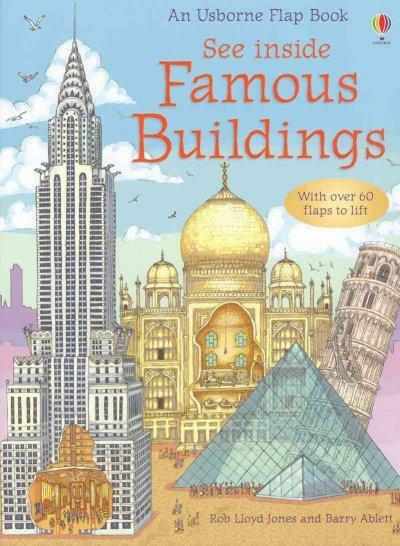 This book lets you discover and explore some of the world's most famous buildings. 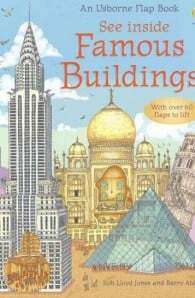 Looking at famous buildings from across the ages, each illustration opens up to reveal the building’s interior as well as fascinating facts such as how they were built and their histories. Buildings include the Empire State Building, Guggenheim Museum, Himeji Castle, Versailles Palace, Blue Mosque, Notre Dame Cathedral and more. This book contains over fifty sturdy embedded flaps.